Gilbert Calleja’s works centre on the cult of “Boxing”, and follows various stories within the sport’s local sub culture. The photographer’s interest lies in the people that make the sport, the boxers and the dedication of the people who surround them. 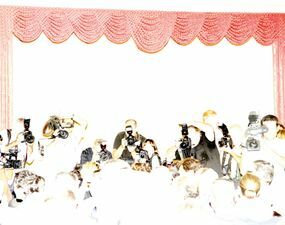 Photographing behind the scenes in true photojournalistic fashion, he seeks to capture each fighter’s tension in those few lonely minutes between months of hard training and the ring. The neon lit corridors, dark passageways and stuffy changing rooms amplify the sense of expectation where each man warms up before walking into the ring to fist out his opponent. Calleja depicts these boxers at heightened times of lonely aggressiveness, in intense moments of focused concentration. The work converges the two sides of the boxing coin – that of hostility to obscure human insecurity and indecisiveness contrasted by longed-for assertive moments of elation. Calleja’s work is a true document of the lonely road travelled to fulfil man’s basic instinct for the survival of the fittest. 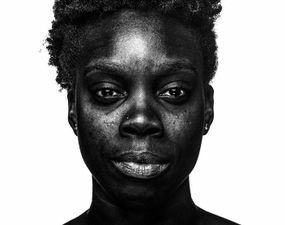 These contemporary portraits of Nigerians are deliberately photographed without the context of environment to challenge the viewers’ pre-conceived ideas about identity, class, and place in society. Just in time for the United States’ election results—a damning critique of the blurring, distorting mass media circus that today we call politics. 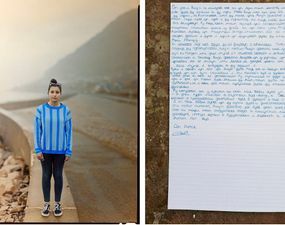 16 photographers are canvasing Britain to capture how 16-year olds view the future of their country—people from widely varied backgrounds all bonded by the fact that they will live with today’s electoral decisions for many years to come. 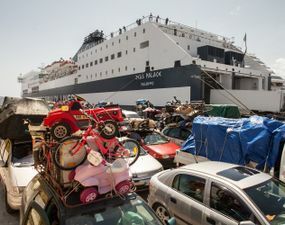 Every Saturday in the port of Palermo, you will find cars piled dangerously high with stuff, junk. 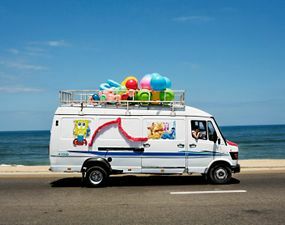 These photographs (and interview) explore how humble-seeming vehicles are recreating a tradition that goes back thousands of years.